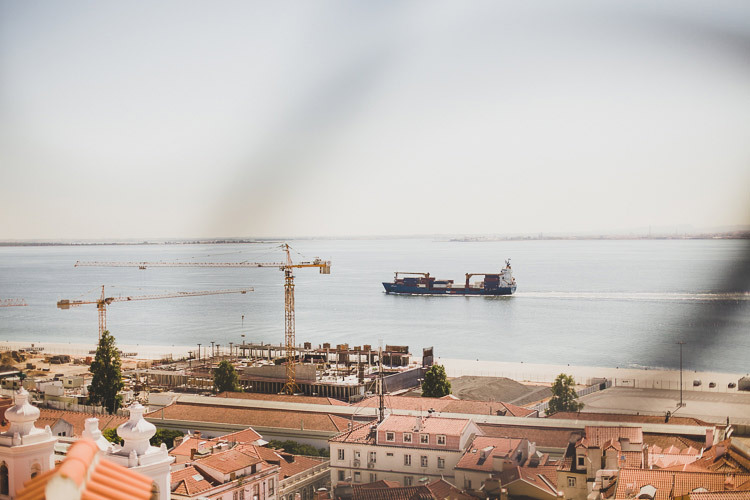 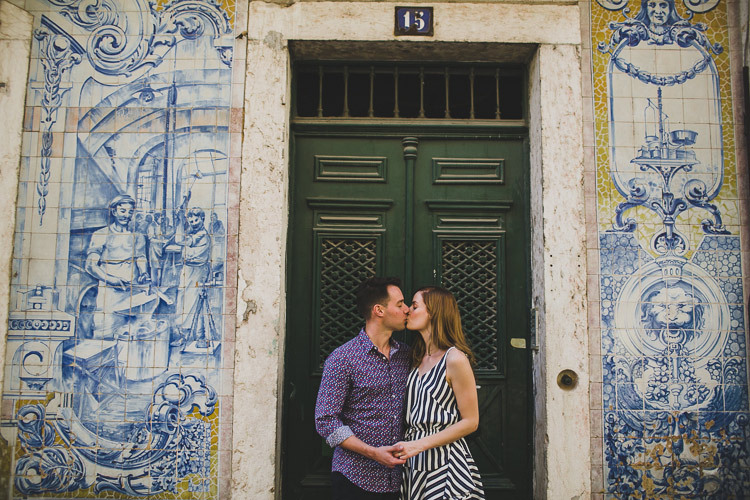 Lisbon destination wedding photographer. 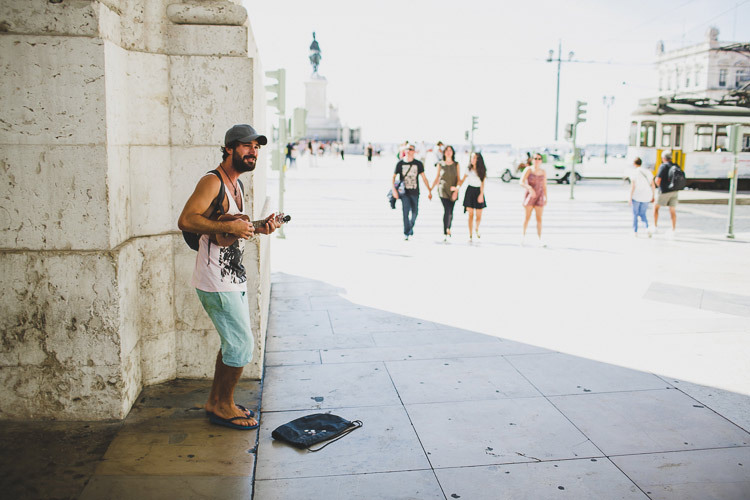 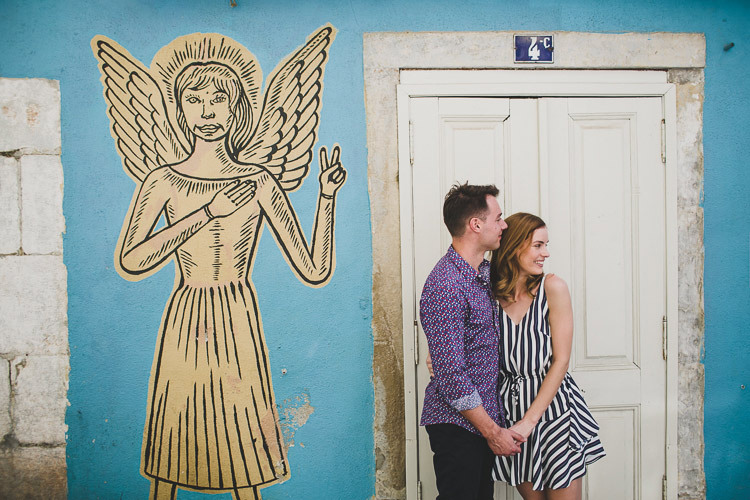 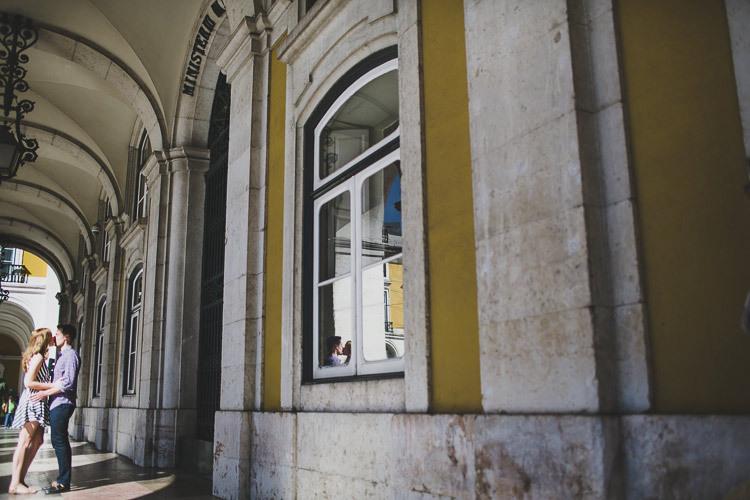 The streets of Lisbon were a perfect scenario for this amazing couple. 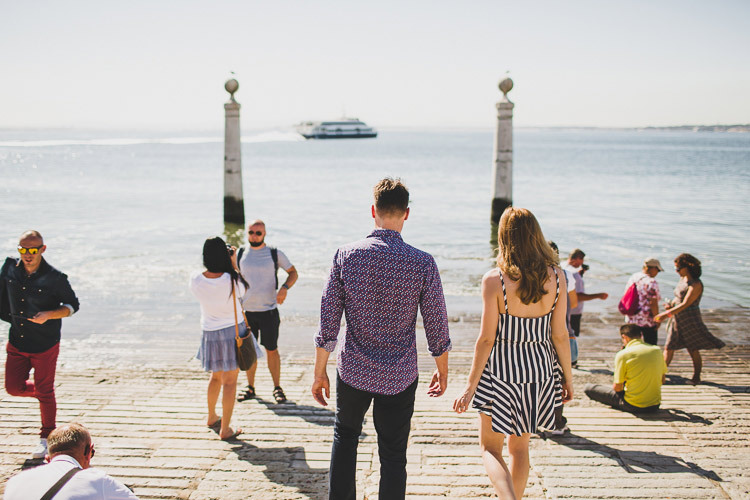 We were walking the most beautiful places of the old city, close to the river. 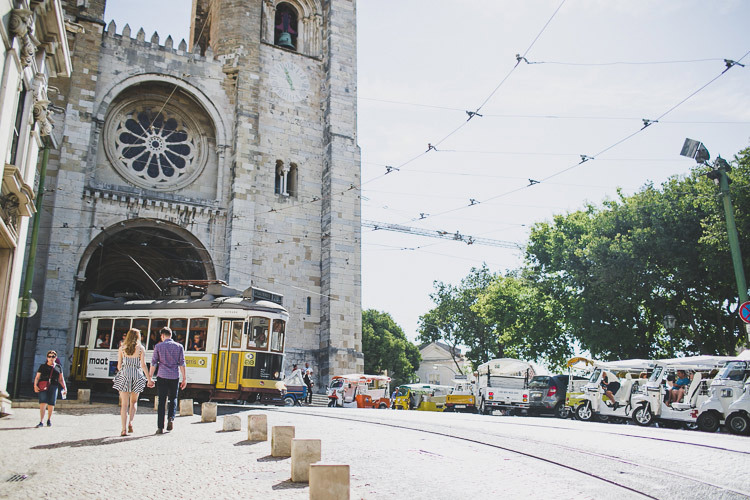 Scouting is the best way to feel the adventure and to find small colorfull corners where enjoy the taste of the vintage Lisbon. 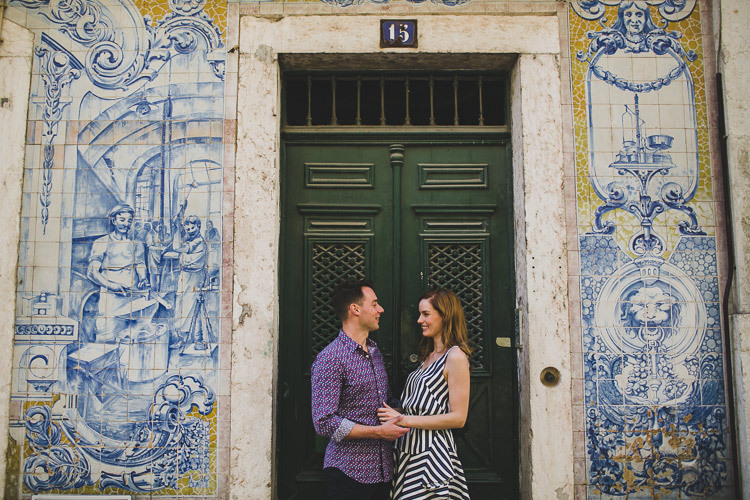 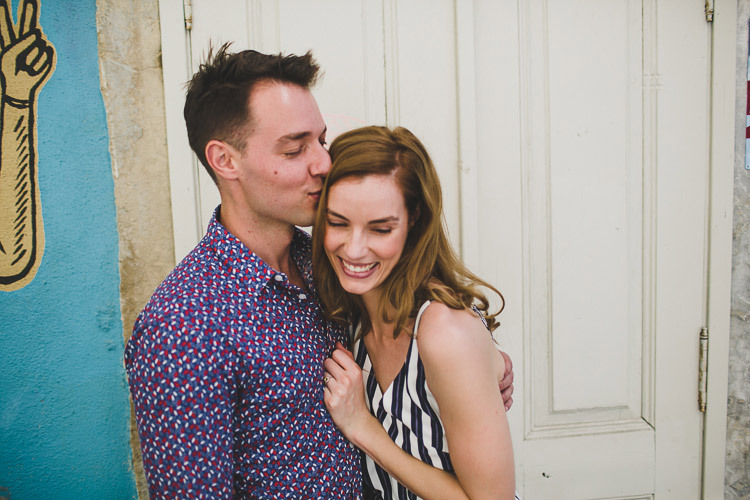 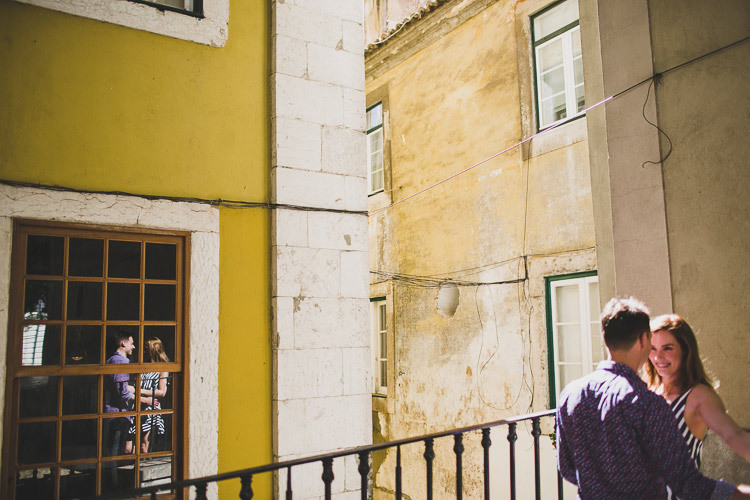 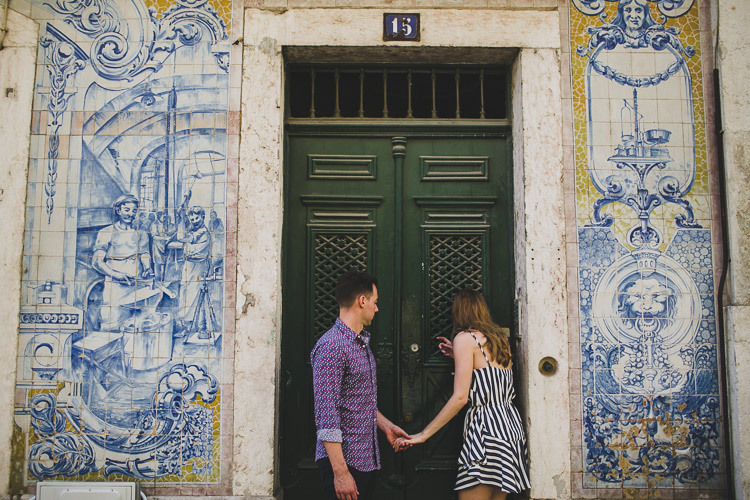 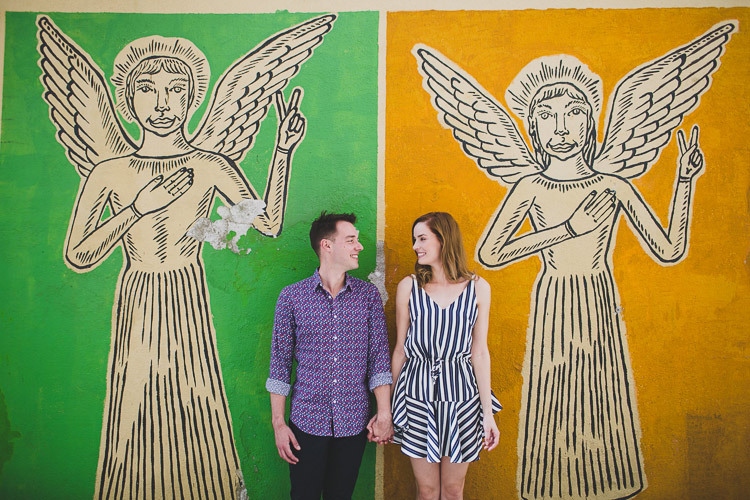 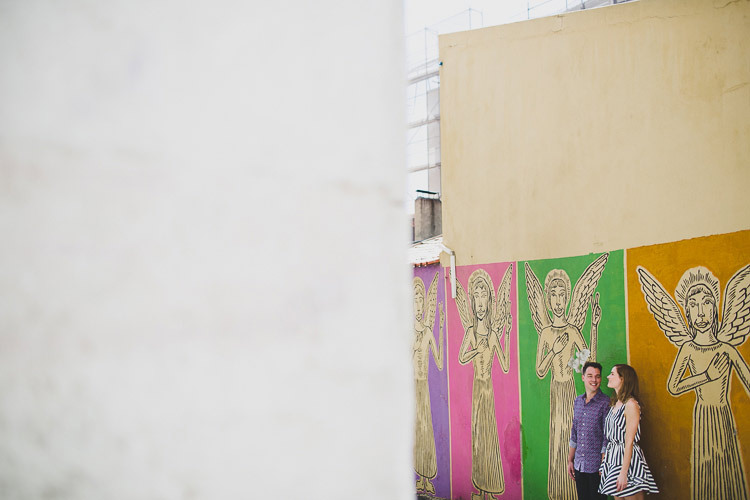 Some travels here after, they chose Portugal for their destination elopement. 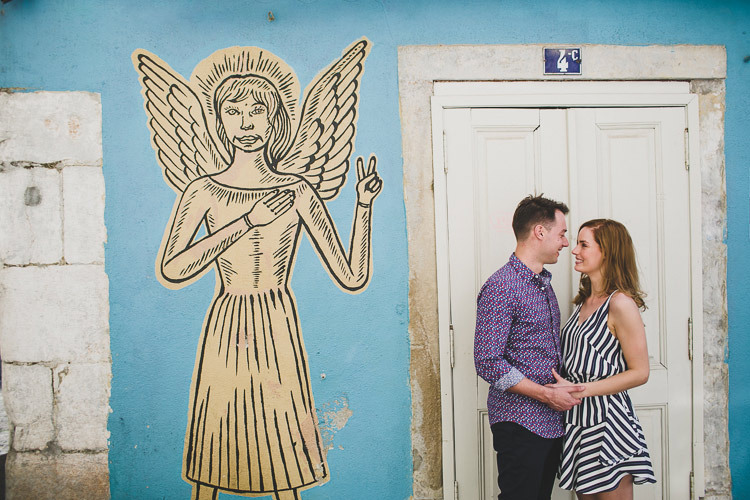 This part of Europe is perfect to get married or to do an elopement. 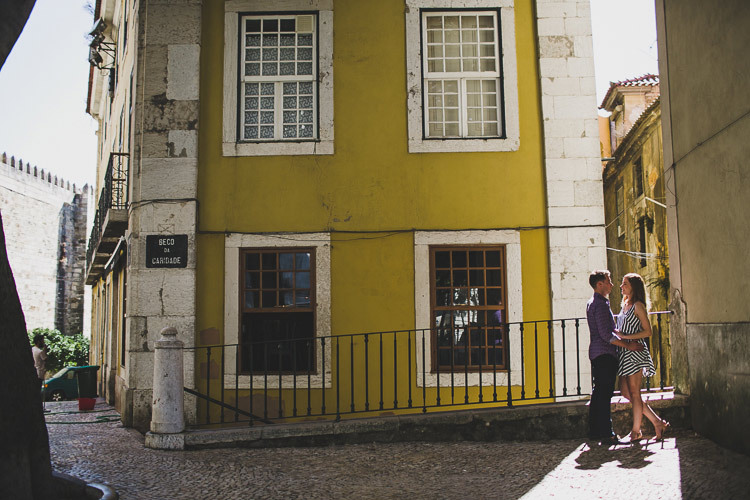 If you are planning to exchange vows in Portugal, Please, contact me here and tell me about your adventure and lovely story. 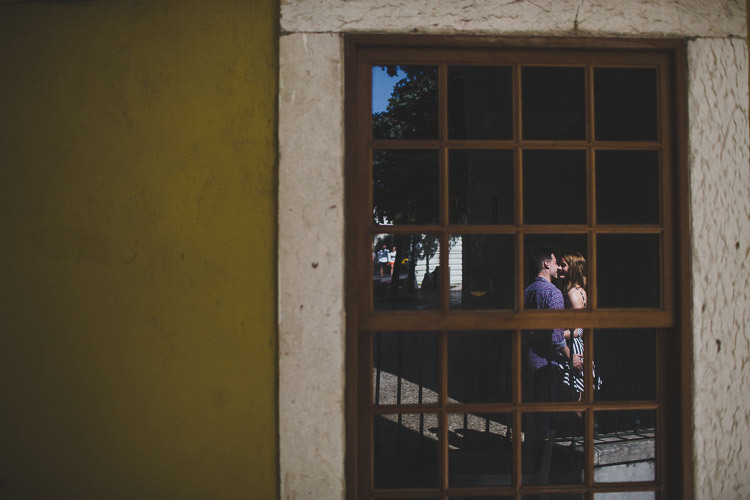 Where do you need I go?